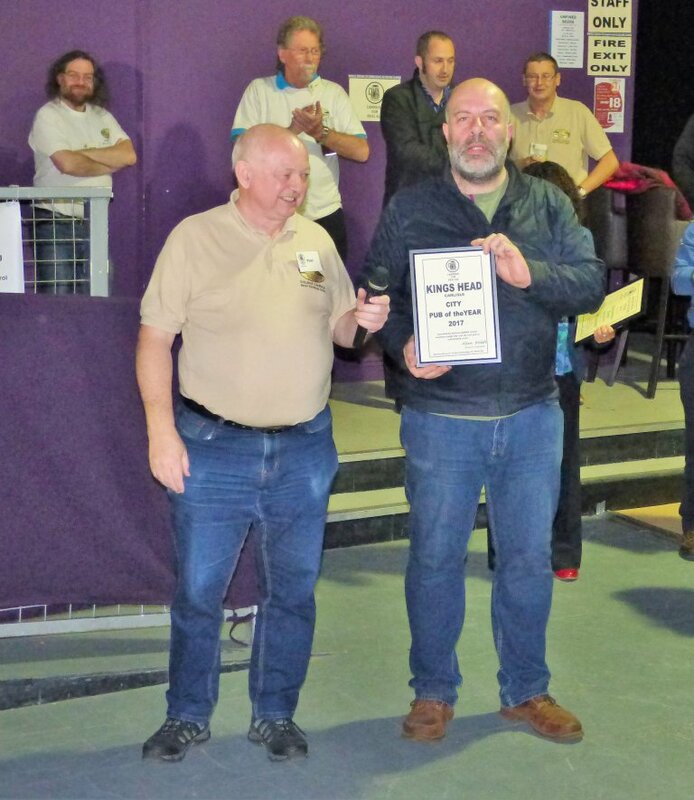 The Drovers Rest, Monkhill has been awarded the well merited accolade as West Pennines CAMRA pub of the year after its success as Cumbria CAMRA Pub of the Year 2017. Congratulations are due to all that make The 'Drovers' an excellant pub. After achieving the award as Super regional Pub of the year the Drovers was in the top 4 in the CAMRA National Pub of the Year competition in 2015 and now goes forward to the 2017 Super Regional pub competition. Sound familiar? After five years in a row, it should do! Oh yes, since 2015 the Drover’s Rest has been elected as the Branch’s Pub of the Year in an open ballot of branch members. So, what is it that appears to be leading the Drovers’ team to continual success? Could it be the quality and range of the real ales being offered? So far, the pub has served 983 different beers. A tip of the iceberg, perhaps, when you realise that there are now more than 30,000 real ales available! Put another way, a mere 3% of the total! There’s a challenge? As well as serving top quality beers, Sandy and Sarah have been experimenting with brewing their own beers thanks to help from Bowness Bay Brewery. Up to now drinkers have enjoyed the following:- Seeing Red - A red beer – well I never!! It’s Nectar – A honey and oatmeal pale ale. Forager - a dark beer made from locally gathered blackberries described by one drinker as “..the best beer I’ve ever tasted.” My Hops Don't Lie - 4.8% Hoppy pale ale made with Columbus, Citra, Amarillo and Chinook hops and then dry hopped with more Citra and Amarillo. Bitter hoppy and citrus fruity. And the Crowd Goes Mild - 4.5% Our take on a traditional ruby mild, with the additional of Earl Grey tea and a small amount of hops designed to add a taste of lemon. A true breakfast mild, packed with flavour. The latter two beers made their appearance at their most recent beer festivals. The annual Drovers Beer Festival is held in the pub in May (next one 11th & 12th of May 2019). Additionally, the Fifth Birthday Festival held to celebrate the fifth anniversary of the pub’s re-opening under its present ownership on the 24th August 2013. The commitment to real ale is obviously contributing to the team’s success. But who are the team? Well, It’s a family affair, but not in the Mafia sense! That is to say Sandy and Sarah Williamson and Sarah’s mum and dad, Bill and Linda Robinson. Is it just the beer? There are many factors, which have contributed to the team’s constant success. One of which is the community focus. The Drovers hosts the local churches’ annual carol service and there is a weekly visit to the pub by the Congratulations to Bill and Linda Robinson, their daughter, Sarah, and her husband Sandy Williamson, on winning our pub of the year award. Over four hundred years old, the Drovers is very much a traditional country pub. Although it has been opened up a bit, it still has the feel of three or four distinct rooms. There's a games room at the back with a pool table and dart board. The bar room is cosy and welcoming, complete with a very cosy, alcove "snug" and a separate dining room. A large beer garden at the rear of the pub is a real boon on those really hot and sunny Cumbrian summer days that we all enjoy. Decorating the pub walls are a number of interesting historical documents. These include the sale of the pub by the "State Management Scheme" to publicans Hector and Dorothy Dodds on 29th September 1972 for £5,500, the subsequent sale to Jennings the following day for the same amount and the "compulsory purchase order" on 28 February 1917 under the Defence of the Realm Liquor Control Regulations 1915. 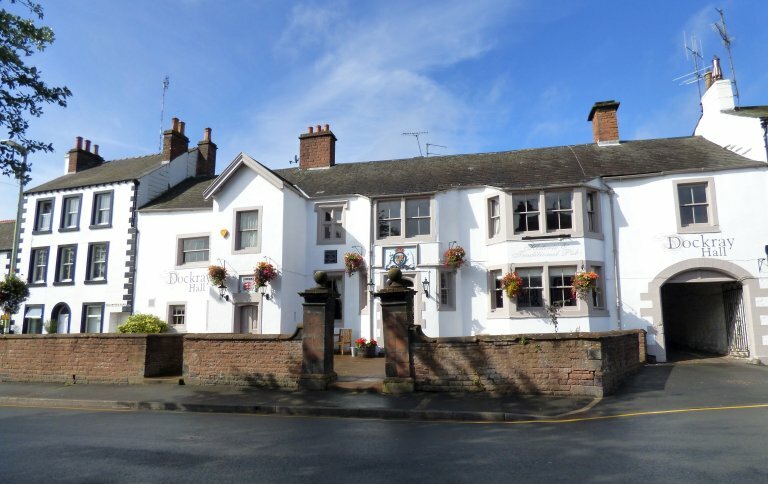 The pub name derives from cattle drovers who travelled from Scotland over the rivers Esk and Eden on their way to cattle fairs at Penrith and beyond. The Drovers is the epitome of a community pub. As well as being the local pub, it serves as the village shop selling a range of basic groceries. It's also a collection point for the Carlisle Food Bank. The publicans even have an online survey to obtain feedback and suggestions from the local community for further improvement. Prior to the arrival of the Robinson family, the Drovers had been in sad decline for a number of years. Together with Sandy, they have worked extremely hard to develop the business and maintain a vital community asset. The Drovers is a very convivial pub. Conversations that start over the bar often run right round the room including everyone and anyone that wants to chip in! The pub is developing a well-deserved reputation for excellent food. Their (mainly) Lakeland mountain named burgers are highly recommended. Food is available every day from 12-2 and 5-9. Children are welcome in the pub up to 9pm. Now to the serious business, the real ales! When Sandy at the 2013 Carlisle Beer Festival told us they had three or four guest beers on sale we were sceptical. Pleasingly, how wrong we were! A year after they took over the pub (26 August 2013), they've had an amazing 115 different real ales from 44 breweries on sale (including 20 Cumbrian breweries)! For those interested a list of former owner/managers of the Drovers Rest Monkhill can be found in the pub history section. Congratulations to Mike Vose and his staff for this well deserved accolade. Blacksmiths Arms Talkin. 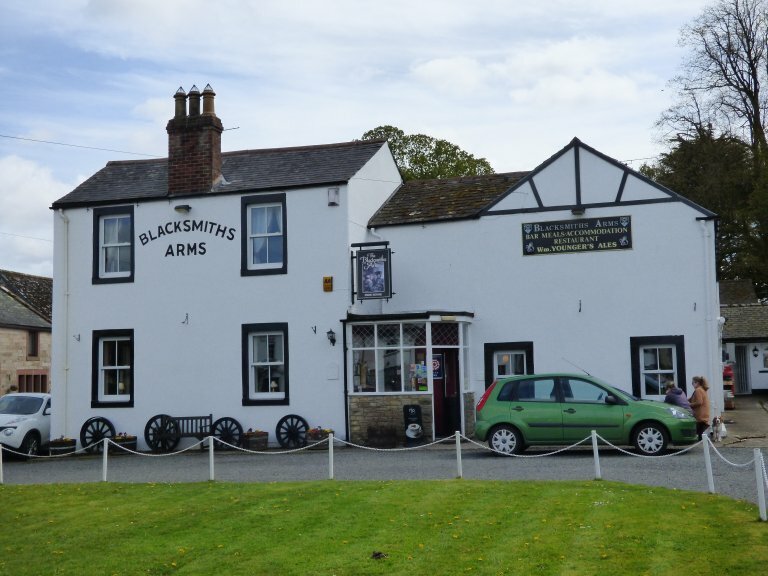 Blacksmith's Arms, Talkin Solway CAMRA members have voted the Blacksmith's Arms at Talkin as our Pub of the Season for spring 2019. The Blacksmith's is a friendly pub with a reputation for good beer, excellent food and fine accommodation. The pub was once the local smithy offering refreshments whilst horses were being shod. Sadly, you’ll have to travel further afield for equine attention, since now it offers real ale from local breweries rather than strongarm pursuits. The pub has been with the Jackson family for well over 20 years. It serves the local community and visitors alike as a popular meeting place. The Blacksmith's attracts visitors from far afield to enjoy the delights of the local area as well as the beer and food! When I asked what they attributed their continued success of the Blacksmith’s, the reply was, “we are a family run business with a good mixture of customers who enjoy our company, food and real ale”. Amazingly, this is the fourth time The Blacksmith's has won our pub of the season award! They are the first pub to achieve this honour. 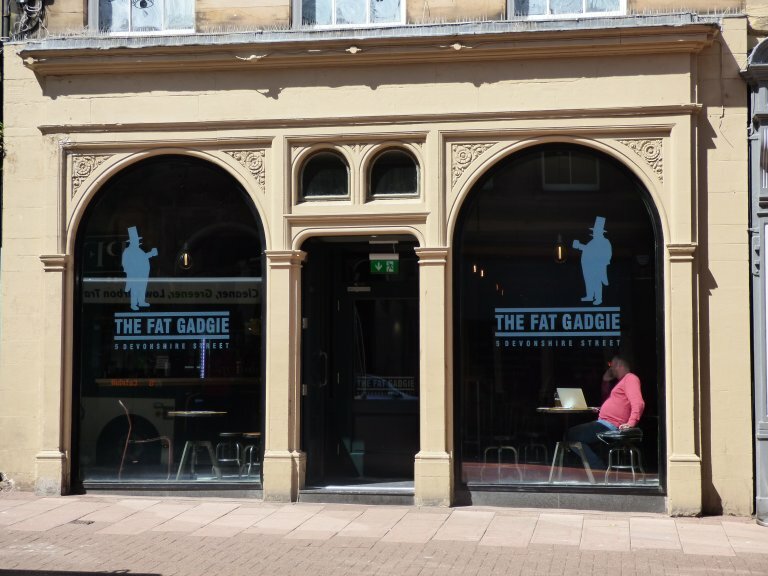 Fat Gadgie, Carlisle. In the Fat Gadgie, the Border City has a beer bar to be exceptionally proud of. 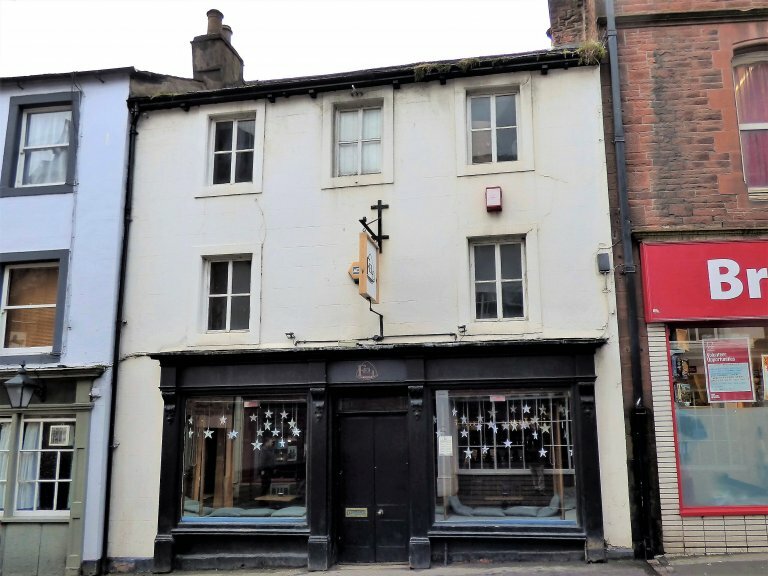 Legendary Carlisle publican, Mike Vose, had been angling for a beer bar (we’ll maybe forget about the confusing and argumentcausing “craft” word that some CAMRA folk don’t like to mention), to complement the King’s Head and when a former licensed premise on Devonshire Street became available; he decided to take the plunge. It was going to be the Devonshire Tap (I’ve seen the, very nice, artwork for the logo recently) but, when it came towards the opening, in May last year, it was a wry, tongue-in-cheek, poke at the oddly-named bars that have sprung up in the neighbouring buildings, along with maybe a self-referencing dig, that won out – and it is, doubtless, unique as pub names go. From the outset, we have seen a superb range of beers from all over the U.K. on the handpumps, served by Ray and the team and chosen, very wisely, by cellarman Nicky. All are served in a smart, modern bar, which, thankfully, didn’t head the way of so many places in providing cut up pallets for tables and old chairs to perch on. It’s also one of those rare city centre pubs that rely purely on drinks sales. The fridge contains a tantalising array of the best in bottled and canned beers from near and far (and you can take them away in a handy ‘Gadgie Bag’ (there’s a discount for purchasing six or more) and you are heartily encouraged to take your bag with you on your travels and get its picture taken in as many exotic locations as possible! 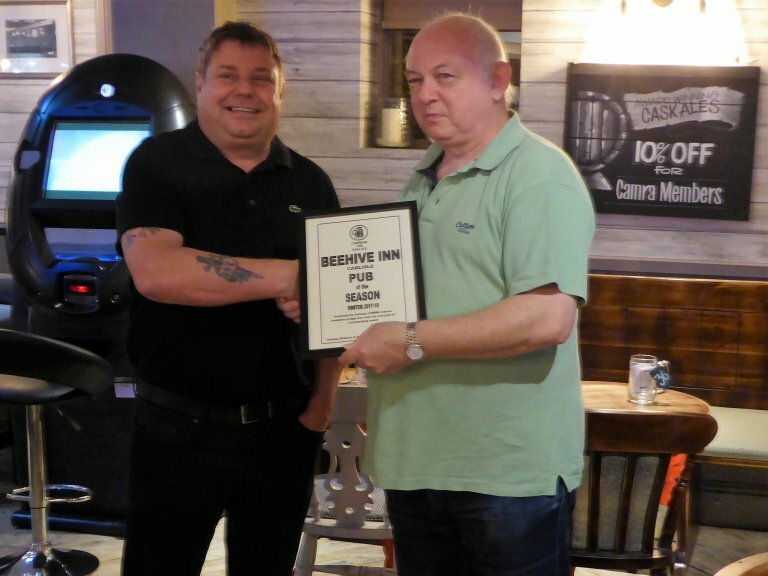 Add to this, a great range of whisky, rum and gin (there’s an ongoing ‘Gin of the Week’ feature), £3 a pint cask ales on Sunday and Monday and a comfortable upstairs room available for hire, it’s not difficult to see why The Fat Gadgie is our latest award winner. The Fat Gadgie opens at 3pm on Mondays, 2pm on Tuesdays-Fridays and from midday on Saturday and Sunday. Congratulations to the staff of the Wheatsheaf Inn, Wetheral on their latest award, our Pub of the Season, for Spring 2018. Lynne and Graham are entering their tenth year in charge of ‘The Wheaty’, a traditional village local, which has been a pub for over 200 years. It was formerly under State Management and, a lot further back in its history, was a meeting house where tenants came to pay both their dues and their fines to the Lord of the Manor. Three real ales are on offer, with Corby Ale, brewed just across the River Eden at Cumberland Brewery, being a permanent fixture on the bar. The other two hand pumps now feature only beers from Cumbrian Breweries. At the time of writing, two beers from Bowness Bay were on sale. You are also likely to see beers from the likes of Keswick, Cumbrian Legendary Ales and Coniston on the bar, amongst others. Food is served from Wednesday to Sunday, both lunchtimes and evenings. Bookings are advisable at weekends. The pub opens at midday, every day. On Tuesday nights, you can take part in their popular quiz, with its jackpot round. “The Wheaty” also has it own football team, playing in one of the local leagues and big sporting events are shown live at the pub. There is a good-sized beer garden, which is deservedly popular when the British weather is behaving itself! Rural Cumbria has suffered from transport cutbacks in recent years, but, thankfully, you can still make a journey out to Wetheral, by bus, during the daytime, or by train - the station being no more than a sedate ten-minute walk away. 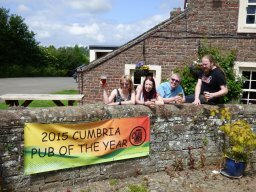 Alongside three Solway CAMRA Pub of the Season awards, “The Wheaty” was the recipient of ‘Carlisle Living’ magazine’s 2017 ‘Best Country Pub’ award and the numerous reviews on various websites, pay testament to this. In an ever-expanding village, “The Wheaty” retains its rightful place at the heart of the community and is highly deserving of this latest award. Congratulations to Mick and Christine Wheatley and their hard working team at the Beehive on winning the branch’s latest award. Mick and Christine took over The Beehive in 1999 and have been through many changes of ownership – from Scottish & Newcastle, through John Barras Inns, Spirit group, Punch Taverns to the current owners, Greene King. During this time, they have seen the pub go from strength to strength. A popular and busy community local, the pub has darts, pool and dominoes teams, along with two Sunday league football teams and live music usually once a month. 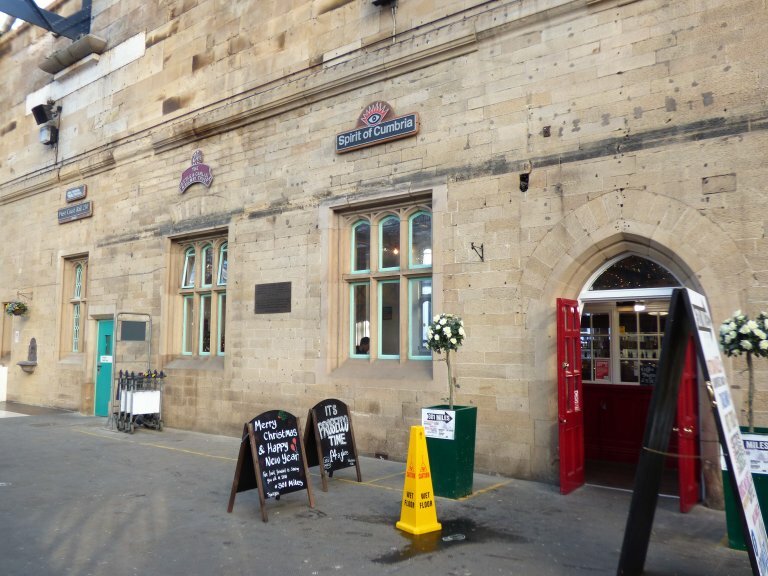 Being located opposite Carlisle United’s Brunton Park stadium, the pub is exceptionally popular pre and post home matches. When Mick and Christine took over, the Beehive sold one cask ale; Theakston Best Bitter. It now boasts five handpumps and they are able to choose any cask ales they like from the Society of Independent Brewers (SIBA) listing, to complement the Greene King range of beers. Cumbrian breweries feature regularly, such as Carlisle Brewing Company, Eden and Keswick and whenever Hawkshead Brewery’s excellent Windermere Pale Ale is on sale, it flies out! The pub has been extended twice, with seating areas towards the Warwick Road side of the pub, however, six weeks after the most recent refurbishment, the pub was deluged for the second time in Mick and Christine’s tenure, by the devastating floods of December 2015. Not daunted by this, and showing true community spirit, the Beehive took temporary residence in the upstairs bar of he Griffin and later the Apple Tree! As Christmas was missed in the Beehive, a special “Christmas” event was held when the pub re-opened with people in Santa outfits wandering along Warwick Road in late February! Repairs were undertaken quite quickly, and the pub was back trading by mid February 2016. The Beehive opens at 11.30 MondaySaturday and Midday on Sunday, with traditional pub food, from an extensive menu, alongside daily specials, served until 9pm, every day. In 2012 the 'Pub of the Year' winner was: The Kings Head, Carlisle. 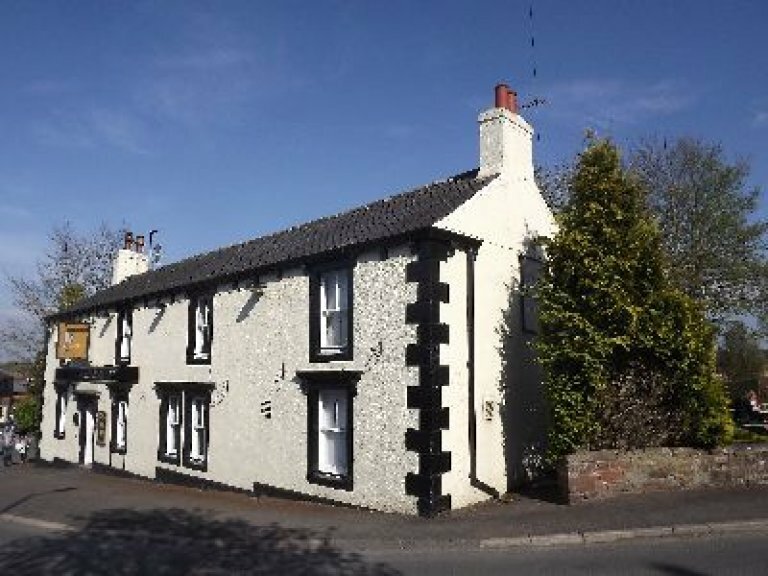 Pub of the Year Winner for 2010 & 2011 was The Cumberland Inn, Alston. City Pub of the Year 2012 was awarded to the Kings Head, Carlisle, for the fifth time. In 2013 the Beer of the festival was awarded to Spun Gold from Carlisle Brewing Company, Cummersdale. 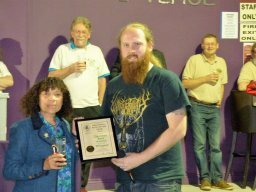 In 2012 the Beer of the festival was awarded to Cumbrian 5 hops, from the Hawkshead Brewery Staveley. Pub of the Season - Winter 2013 - The Royal Oak, Curthwaite. Pub of the Season - Summer 2013 - The , Carlisle. 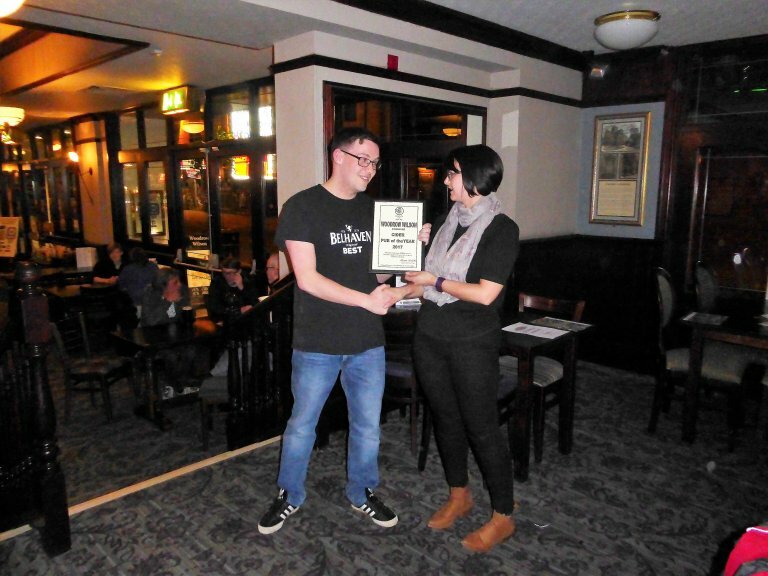 Pub of the Season - Spring 2013 - The Magpie Inn, Carlisle. Sadly this pub has now closed. Pub of the Season - Winter 2012 - The William Rufus (Lloyds No 1), Carlisle. 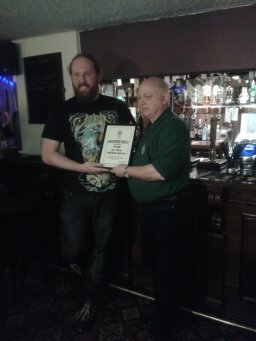 Pub of the Season - Autumn 2012 - The Plough Inn, Wreay. Pub of the Season - Winter 2011. Woodrow Wilson, Carlisle. Pub of the Season - Autumn 2011. Duke of Cumberland, Castle Carrock. Pub of the Season - Summer 2011. Agricultural Hotel, Penrith.